Ilam Hydropower Station is a run-of-river type power station having installed capacity of 6.2 MW with 2 units of 3.1 MW each. It is located on the right bank of Mai-Khola in Ilam Municipality. 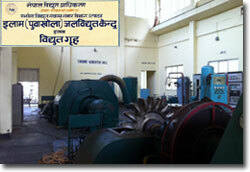 The power house was commissioned in the year 2000 with designed annual generation of 48 GWh.